In response to a query from a Swedish researcher, I’ve posted eight historic photos of the Adecon Darrieus wind turbine to my web site. See Adecon under Vertical Axis Wind Turbines (VAWTs) in the Photos section. Previously, there was no specific entry for Adecon. 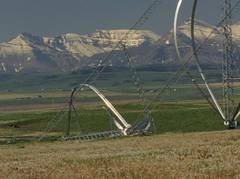 Canadian developer Adecon introduced a Darrieus turbine in the late 1980s and early 1990s using four extruded aluminum blades. Most Darrieus turbines of the period used only two blades, rarely three. 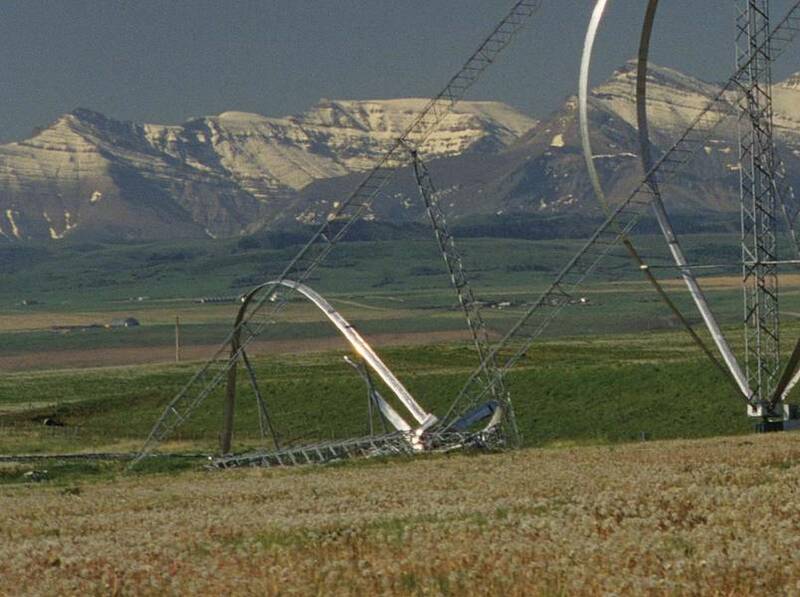 The turbines were installed near Pincher Creek, Alberta an early hot bed of wind turbine development in Canada. Two Adecon units had failed by the time I took my photos in the mid 1990s. One of the photos appears to show a turbine spinning. Adecon’s turbines were also unusual because they used a space-frame construction instead of guy cables to keep the tower erect. The space frame is a clever alternative to guy cables, but it increases both visual and aerodynamic clutter. One of the signature lessons of conventional wind development during the 1980s was that the benefits of tall towers far outweighed their added cost. 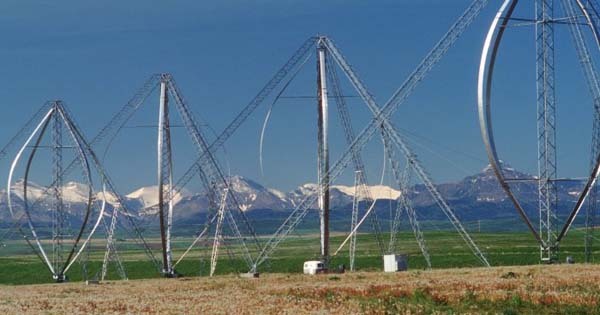 VAWT designers were aware of this as well, but it’s very difficult to install a guyed Φ-configuration Darrieus on a tall tower. This is a fundamental limitation of the Φ-configuration. Jos Beurskens, formerly head of Energie Centrum Nederlands (ECN), has a photo from 1994 describing the test site as 1.5 MW, suggesting there were ten Adecon turbines of 150 kW each.